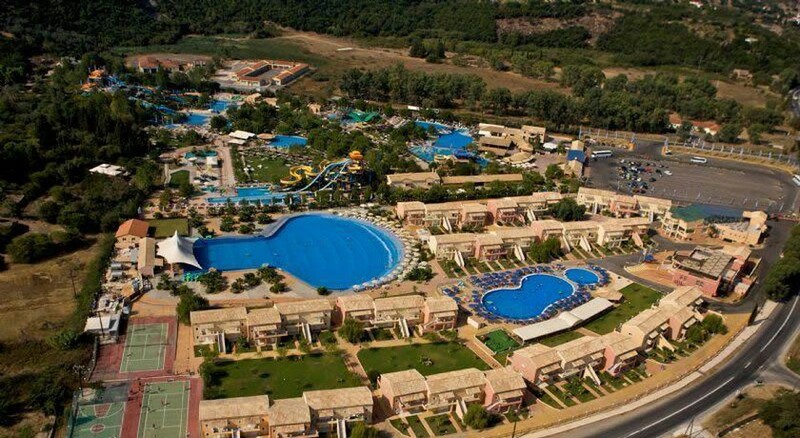 Located next to Aqualand Waterpark, one of the most amazing and adventurous water parks in Europe, Aqualand Resort provides you and your family with accommodation, comfort, convenience, aquatic entertainment and all kinds of on-site facilities in a budget-friendly way. Aqualand Resort hotel complements its superb surroundings with spacious, modern and convenient accommodation ideal for the entire family. Aqualand Resort is newly-built and designed in a Corfiot style in the form of a small village. In an area of 12,000 sqm, there are water slides and rides with 15 different themes, while there is an all-inclusive package provided to the guests which includes foods and drinks at the nearby restaurants, swimming pools, tennis courts and a shuttle service for a ride to the Glyfada Beach. And of course the most amazing benefit of all, guests will enjoy a free daily entry to the Aqualand Waterpark! 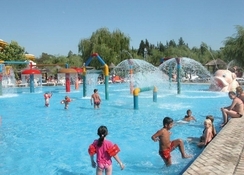 Aqualand Resort is ideally located in the central-west part of the Corfu Island, adjacent to Aqualand Waterpark. It is located at a distance of 13 km from Corfu town and airport. The resort is located close to some of the famous beaches of Corfu Island such as Glyfada, Ermones and Myrtiotisa nudist beach with a distance of about 10 km. 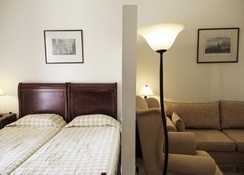 The resort contains a total of 158 rooms and apartments. 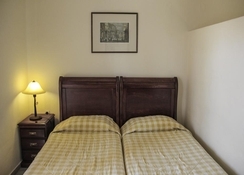 Each includes air-conditioning, mini-fridge, microwave, tea and coffee amenities, bathrooms with shower, balcony or terrace, telephone, satellite TV, safe (with charge) available in Apartment, Studio and Double Room configuration. Breakfast, lunch and dinner all are served in buffet style in the Pleiades Restaurant. Meals are accompanied with soft drinks, juices, local and international alcohol (ouzo, brandy, aperitifs, whisky, rum, vodka, gin, and tequila), draught beer and cocktails. At the Orion Pool Bar, snacks are served including sandwiches, ice-cream, and hot chocolate and also afternoon tea and coffee with cake is available from 5pm to 6pm. All of these facilities are available in the all-inclusive package. Branded drinks and all drinks after 11 pm are with charge. Beyond the Aqualand Water Park, sports facilities include swimming pools, tennis courts, volley ball court and basketball court. There is also a wave pool with life guard. A gym is also available for adults of 18 years and above and is free of charge, while the Sauna and massage is provided with charge. A shuttle service is also available for a ride to the Glyfada Beach and Corfu Town. Above all, the guest will enjoy a daily free entry to the Aqualand Waterpark.